Some of the most luxurious properties on the planet – some as few as three rooms per camp – with private guides, chefs, butlers, masseuses and stellar wine lists. Up to 400-square-metre rooms or villas and the highest staff to guest ratios in the world. 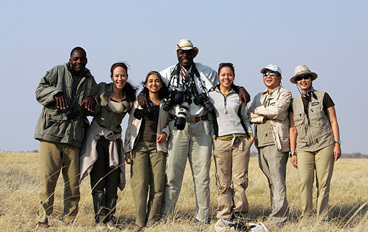 Our Premier safari camps and lodges range from three to ten rooms maximum. Located in vast areas (some over one million hectares) catering for a handful of clients. Your vista could be a vast floodplain studded with elephants and other big game, the oldest sand dunes in the world or ancient primary rainforest full of exotic birds and primates. There is no compromising on the quality of experience and most of these properties are located in pristine wilderness and rich wildlife areas. 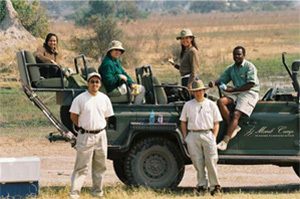 It is not uncommon to meet a National Geographic vehicle while out on game drive.